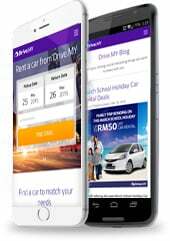 Euro Rent A Car Sdn Bhd, our proud partner of Drive.MY! With its extensive fleet of 150 vehicles for hire offering the full range of saloons from economy to luxury cars, 4WDs and vans, EURO has established itself as one of the premier car rental companies in the country. All vehicles are well maintained and are available for short and long term leasing to individual and corporate clients. Packages available cover both self-drive and chauffeur driven services. Rental charges are competitive and coupled by EURO efficient and courteous service, customers are always assured of value for their money. The company has been appointed as the official vehicle provider for many events, sporting, exhibitions and conferencing such as Malaysia Formula One Grand Prix, Defense Service Asia (DSA) Exhibition, NAM, OIC, Citrawarna Malaysia, etc. It specializes in this sector and has efficiently and successfully supported and worked closely with the respective event organizers. The Headquarters and primary operational base is located strategically in the perimeter of the Golden Triangle in Kuala Lumpur with branch office in Kuantan. These bases and operational offices provide an effective and efficient service grid for vehicle delivery and pick-up point throughout Peninsular Malaysia. At EURO Rent A Car you are most important and we strive to ensure "Excellent and Superior Service" always. We look forward to be of service to you.